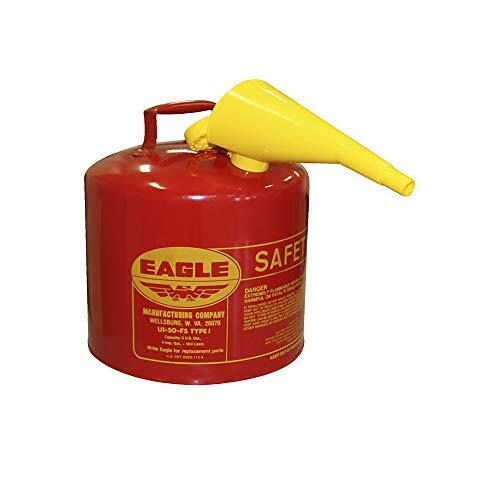 Storing gas is something a lot of preppers have probably thought about at some point. There are some challenges to storing gas. Finding the right can and planning out your storage system takes some thought. During a gas shortage or any other type of emergency, you will likely need to make some effort to reduce your consumption and get the most out of the gas you have on hand. Never store gas in your home and near where you sleep. Gas is extremely explosive in the event of a house fire or sparks! A can of gas exploding can turn what would have been a minor fire into an inferno that destroys your home and possibly kills people. Even 5 gallons of gas takes up a bit of space and it weighs around 40 lbs with the can included. Plastic cans may reduce weight slightly, and they cost less, but they are not as sturdy as metal when it comes to punctures or impacts. How long do you want to store it? Fuel stabilizers can keep gas sealed well in a can for six months to a year. Be sure to read the instructions and guidelines on the bottle that you are using. One thing to consider is that if your can is truly sealed and you add stabilizer, gas should keep for a decade. The problem is that seals failing over time, rust, etc. can lead to major problems with how long it keeps. 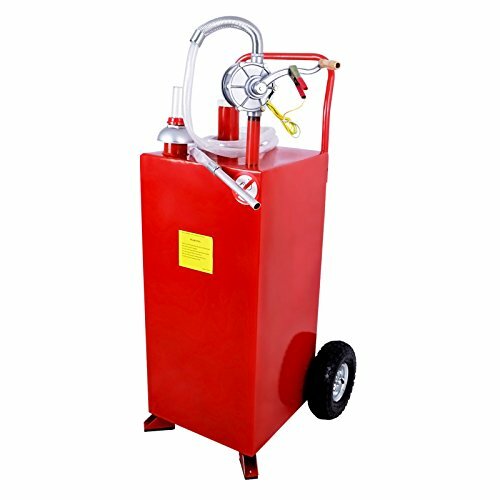 Condensation and water in gas are common enough that you can get the product to remove water from it at most grocery stores that have even a few automotive items. HEET is a great product and can save you from having to drain a tank or waste fuel that has been contaminated with water. Keep in mind I am talking about small amounts of water. If you find gas that is half water then dispose of it. 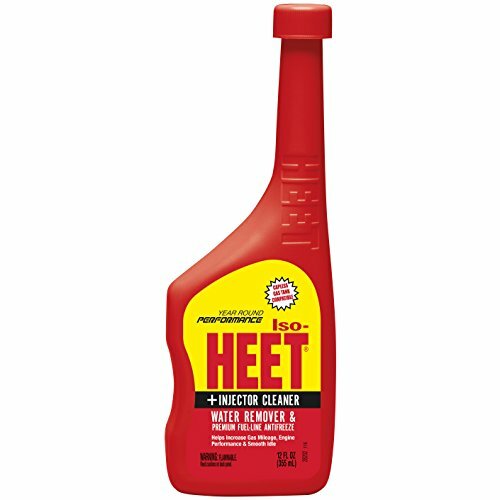 A little water or condensation in your tank can be solved by a container or two of HEET which is just a special alcohol that is safe to put in your tank. While this stuff sells for $6 per quart and has oil mixed in for use with two-cycle engines, it has an amazing 2-year shelf life after opening. If you keep it sealed this will keep indefinitely. 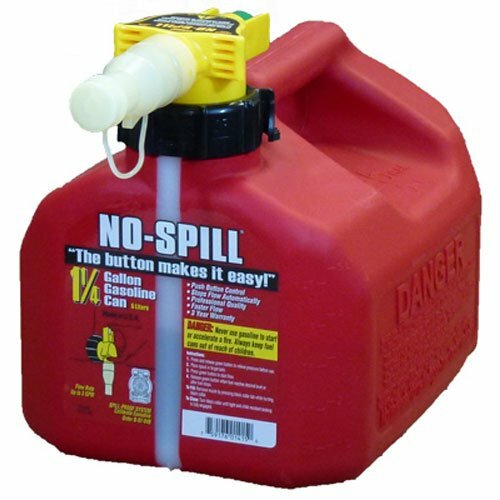 You can get it in bigger containers at Lowes, A 110 fl oz jug is $20 which is a lot for gas but a few of these put back would sure keep your chainsaw running a while, and you would have no worries about finding oil to mix. That could sure help keep your family in firewood for longer during a SHTF scenario or extended emergency. 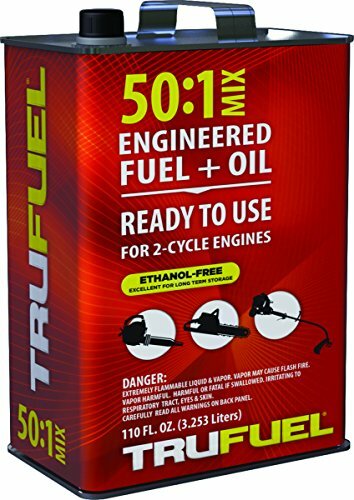 TruFuel 6525606 Ethano... Check Amazon for Pricing. Another thing to remember about True Fuel is that during emergencies people don’t think about getting gas at the hardware or home improvement store. Consider this scenario. You are driving home and notice that there are long lines at the gas stations. Pumps are running dry, and people may be getting irritated. It just so happens you planned on filling up, but now it looks like you will run out of gas waiting in line and possibly still not get any. Irritated and tired people could be a threat as well. Making a start for the nearest Lowes, Tractor Supply, Home Depot, or hardware store means you can walk in and buy a gallon or even a few quarts of True Fuel and put it in your tank and make it home. I know it would be expensive but during civil unrest or if gas supplies are disrupted by a natural disaster, I would gladly pay around $20 for a gallon of gas to get home and to safety! 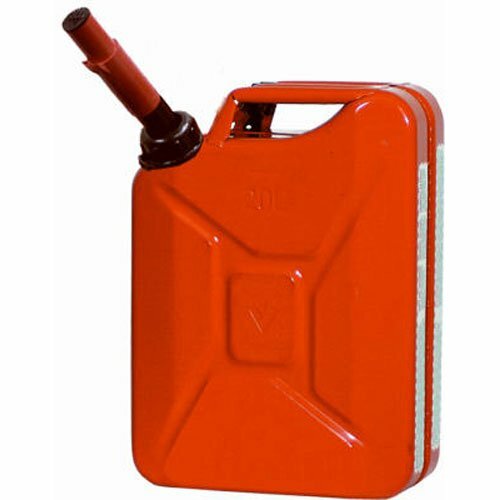 Gas cans come in a range of sizes. I prefer having a few smaller and a few that are larger for transport. While we only live 3 or 4 miles from a gas station, we don’t want to run out for just small things so keeping a bigger can filled up helps out. Our gas needs have fluctuated over the years. Last year we bought a Kawasaki Mule, and since then we use less gas because we are not using a four-cylinder truck to haul a few small things around in 4 wheel drive. The mule has a 7-gallon gas tank, and it will do a lot of work for that, and we can get in places that the truck cannot reach or maneuver in. The Mule is less expensive to maintain. Our other machines are small, but it adds up. Weedeaters, mowers, walk behind tractors, all take gas, and you can go through some weedeater gas during peak mowing season. Since we don’t spray Round Up, we have a lot of mowing and weedeating to do. Cans have different shapes. 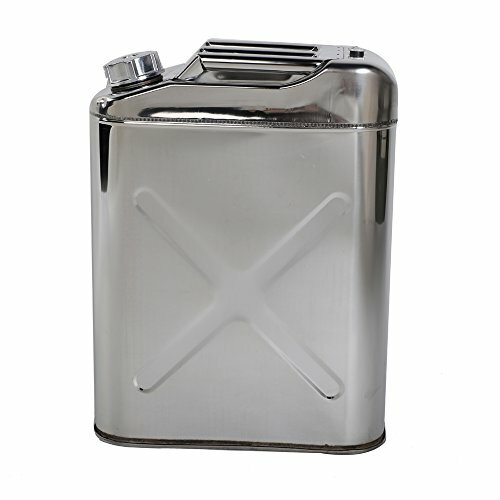 It seems like the metal cans vary the most because you can get jerry can style ones or round cans. It is something to consider if you are trying to maximize the usefulness of your storage space. These are great but more expensive than plastic. They can get hot to the touch when left in the sun too. Smaller cans are quite expensive with 5-gallon cans being the most economical. These can be bought at farm supply stores like Eagle UI-50-FS Red Gal... Buy New $34.95 (as of 01:10 EDT - Details) Tractor Supply or home improvement stores. Be prepared to pay a premium for a metal can but rest assured that if properly cared for they will last practically forever. The spouts on the top can be replaced if something happens, so you don’t have to buy an entire can. These are very expensive, but that is how it is when you want something that will not rust and made of high-quality metal. I had no idea these were available to order until now. They are about $90 at the time of this writing. I could see having one of these if you lived near salt water or something but most people are just going to want to buy two of the painted metal cans for the same price a single stainless steel. Midwest 5 Gallon Metal... Best Price: $35.59 Buy New $39.75 (as of 01:10 EDT - Details) No-Spill 1415 1-1/4-Ga... Buy New $16.58 (as of 01:05 EDT - Details) SUNCOO 30 Gallon Porta... Buy New $205.99 (as of 02:10 EDT - Details) Tenozek 5 Gallon 20L S... Check Amazon for Pricing.